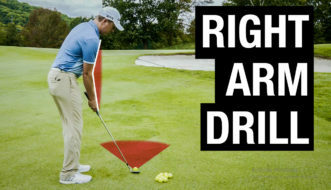 Are you tired of hitting a big slice? Let’s first talk about what causes a slice, and what I’d do to fix it. So, what causes a slice? 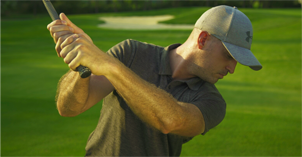 We have a path that is traveling too far left of our intended target with the clubface open. So, in the sense of a baseball diamond, we’re trying to get to second, pass third, the face is looking at second or right of second, and the ball is heading out past the out-of-bounds post. So, we’ve got to get our path fixed and our face fixed in order to get rid of the slice. What I usually see golfers doing when they come to see me for a lesson, that have a chronic slice condition, they usually lack rotation of their torso, and they, ergo, use their arms incorrectly. Watch the video to see one of my favorite drills to get players out of right field and hitting nice beautiful draws.